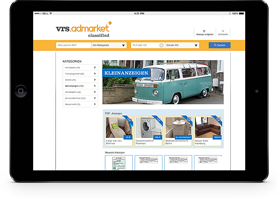 As an IT service provider and software company for more than 95 newspaper publishers and their 450 newspaper titles, VRS Media GmbH & Co. KG can offer white label solutions in the area of online classified portals as well as online adbooker systems. Daily newspapers and gazettes – in six European countries meanwhile – have been using VRS Media solutions since 2010 to strengthen their position online as the first point of call in the region and thus to boost their revenue sustainably through additionally generated print ads, online added value as well as through the marketing of advertising spaces and industry profiles. Visitor numbers in the classifieds sector have also been growing at the same time as well as the associated reach of the publishers. 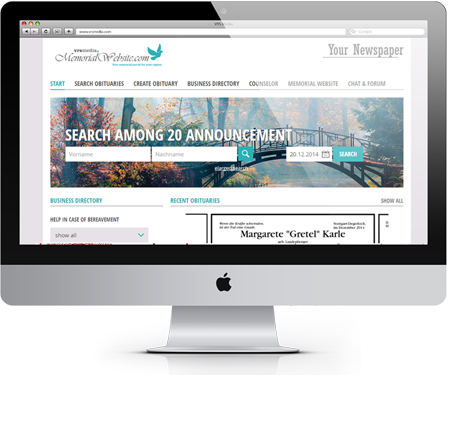 In addition to market-leading websites in the area of obituary and family notices, the product portfolio includes solutions for job, real estate, automobile and small ads. Advertising and topic portals are used as a means of extending advertising beyond the realm of the print editions to the Internet. 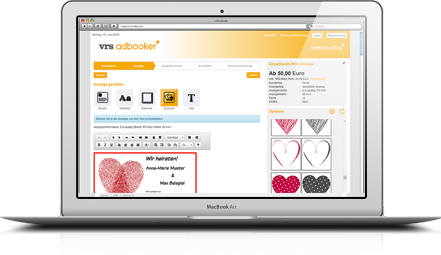 The ad configurator also acts as the ideal tool for designing ads conveniently online and for submitting them for the printed product as well as other online classified markets. The Software-as-a-Service approach of VRS Media white label products offers ongoing enhanced development of all products and free updates in addition to hosting and support. The VRS Media network principle furthermore evaluates value-adding best practice examples from publishing houses and disseminates them regularly to the entire customer base.